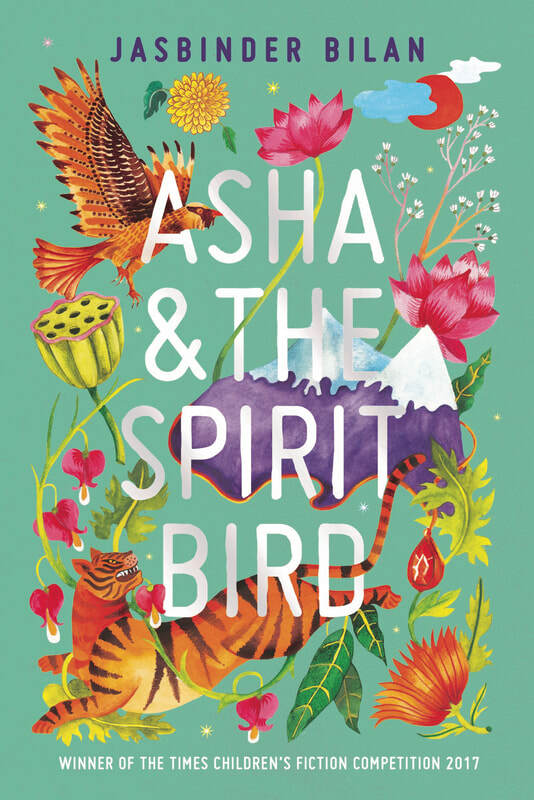 ASHA AND THE SPIRIT BIRD is aimed at readers aged 9 years+. It's an adventure story with a magical twist set in Northern India. The story follows eleven-year old Asha, who is empowered with spiritual connections to her grandmother, as she journeys through the wild and dangerous Himalayas with her best friend Jeevan. Can they find Asha’s missing papa in the city of Zandapur and return home before creditors take everything her family ever worked for? And is the lamagaia that Asha keeps seeing really her grandmother’s spirit guiding her, or is it just a mountain bird as Jeevan keeps saying? 'Finished it late last night - absolutely brilliant.' - Nicki Thornton - Chicken House Prize Winner 2016 - The Last Chance Hotel. 'Magical realist writing at its finest...the kind of writing with an ethereal glow that makes you look at the world around you differently. Pick it up as soon as you can...it's a let your bath go cold, miss your bus-stop kind of read.' - Asha, a cat, a cup of tea - Book Blogger. 'I was sobbing in bed last night because of it.' - Amy Golden - Book Girl. ​'What an adventure - Full of gorgeous detail.' - Amy Wilson author of Snowglobe. 'With one foot in a deeply spiritual reality and the other in an enchanted, magical world, every page is a feast for the senses.' - ​Julia Thum - Book Blogger - My Bookshelf. 'All the ingredients of a fantastic story.' - Dr Lucy Christopher, MA tutor WYP Bath Spa author of Flyaway, Stolen, The Killing Woods and ​ Stormwake. 'High stakes set against a vividly evoked setting, steeped in wild mysticism. I was swept along by Asha's story from the first page.' - Sarah Driver author of The Huntress Trilogy. Jasbinder Bilan lives near Bath, in England, with her husband, two sons and a naughty little dog named Enzo. She works as a teacher and in her free time enjoys writing stories for children. In 2017, something very exciting happened - I entered The Times/Chicken House Children's Fiction Award with my story Song Of The Mountain and won! This became my debut novel Asha And The Spirit Bird. ​Watch the video below and click on the logos to read more from Chicken House and The Times!